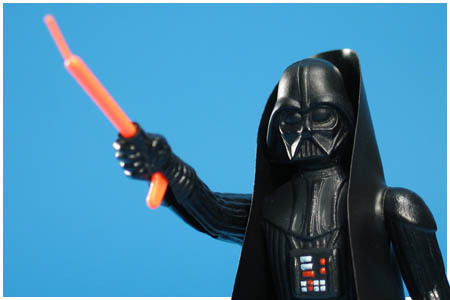 Home » PCU Zeitgeist » Star Wars action figures: 40 years of memories. Star Wars action figures: 40 years of memories. If you can imagine (or remember) a time when Star Wars wasn’t a household name, and the space western was considered something of a gamble to produce and fund, you might somehow understand how 20th Century Fox was able, with a straight face, to allow creator George Lucas to pass up hundreds of thousands of dollars in directing fees in exchange for retaining the Star Wars licensing and merchandising rights. The results, now, are well-documented SW lore. Fans’ craving for everything Star Wars put toy company Kenner on the map, and by the time they were able to meet the unexpected and overwhelming demand, 40 million action figures were in the hands of kids and collectors by 1978. And that was just the beginning of what is now a multi-billion dollar toy franchise. They weren’t perfect – those first toys. They were poorly articulated (maybe not for their time, but fully-jointed G.I. Joes were right around the corner). Plus, their movie accuracy was a mixed bag. Luke’s lightsaber, conveniently carved into his … arm tube … area … was strangely bright yellow. Ben Kenobi, Princess Leia, and even the imposing and sinister Darth Vader were given “capes” that best resembled tiny vinyl bathrobes. But to be honest, none of that mattered. Because what worked about Star Wars figures was first, simply that they were Star Wars (! ); and second, it seemed like every character had an action figure. That never happens! Look at toy sections, even now. No movie-tie-in toys, from the Avengers to Ghostbusters, to Batman have ever had a complete cast of characters the way Star Wars did and does. At most we get the heroes, and maybe one villain. But Star Wars … even in the first wave, there was Greedo, there were Jawas, droids with bad motivators … It was a complete universe right out the gate. And then there were the ships! Gargantuan in our tiny hands. They made blaster noises, they had parts that flew off, they had battle damage. Star Wars toys and action figures captured our imagination and ran with it. 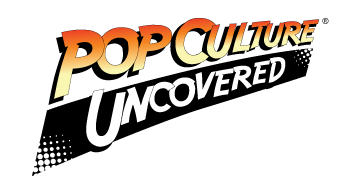 And as fans and collectors, you can still find us on auction sites, at flea markets, garage sales and rummaging through old forgotten toy bins back home for a piece of childhood we never forgot. Star Wars has always been a part of my life. Having been born in the early 70s I remember the first eleven figures that came out in ’77, plus the nine that followed in ‘78 and I had plenty of proofs of purchase to snag more that one of the exclusive mail in only action figure – and only figure to be released in ’79 – Boba Fett! I cannot begin to fathom the thousands of hours of adventures, battles and narrow escapes I put my figures through mimicking the material I had seen on a few short hours of film, creating the moments in between and inventing the further adventures. It was bliss. Star Wars toys were more than just toys to me growing up. For me they held a unique value. As the son of a naval officer I was what was quintessentially known as a ‘Navy Brat’. That meant having shallow roots. We moved a lot. New states, new neighborhoods, new schools and new neighbors – that was the norm. As difficult as it was with every move, I cannot describe the comfort of arriving in an unfamiliar house, on an unfamiliar street, being shown into my unfamiliar room but then opening the moving box that contained my ever-so-familiar Star Wars figures. Every move, they came with me and having them out and ready to explore this new unfamiliar environment always returned me to a much-needed feeling of normalcy. And if there was anything in the ’70s that made kids who didn’t know each other instant friends faster than a fistful of Star Wars figures, I never had it. Every friend I had and every duty station we followed my father to was a part of my Star Wars Universe. Until my brother came along, I was an only child. Because of this, I used to get every toy on the market. I was lucky that Star Wars came out during this brief period. I had damn near every figure out. I had the Death Star playset along with the Hoth Rebel base one. I didn’t have any of the cool ships like the Falcon or Slave 1 but I did have the Snowspeeder. After my brother came along, that all changed. I had to share everything with him. What didn’t end up breaking or getting lost whenever we’d move from base to base, my mother ended up giving away. I remember that the only figure that I could find was the gonk droid. Now as an adult, I’ve found myself revisiting my childhood and buying up all the toys that I can afford. My favorite pieces in my new collection are my ships. I’ve also been buying them in Lego form as I’ve found building them to be my own form of meditation. Now since the 40th Anniversary figures have been released, I’ve started to buy those as well, so it’s kind of like coming back full circle. I was one when Star Wars came out in theaters. So I was too small for the first run of action figures. By the time the Empire Strikes Back was released, I was already well aware of the presence Star Wars action figures had in the lives of my friends. And just like every kid I knew, I wanted as many of those action figures as I could get my hands on. Star Wars was something my parents and brother honed in on, too. They understood. At five and six years old, we lived in a trailer on a plot of land in rural New Mexico. I didn’t really understand what it meant to be poor. But we were. Somehow, though, that Christmas, 1980, those most coveted items were waiting for me on Christmas morning. I can’t help but grin now at the action figures I got that year. A Bespin security guard. A Hoth rebel action figure, C-3PO. I hadn’t been able to see Empire in the theaters. It was several years before I ever saw the film. But my unfamiliarity with the action figures did nothing to diminish my enthusiasm. They were Star Wars! And they were mine. And even though I didn’t know who was the pilot, or what its role was in the movie, I finally had my very own Ship. Slave 1. It was as big as my head. It was years before I realized just how cool it was. But I’ll always be grateful for however my folks pulled it off. And now, at home, an original Bespin Princess Leia (I swore this time I would not lose her gun this time ) is prominently displayed in our living room, alongside a handful of original Transformers. Looking up from my desk right now, I can see the core crew of Rogue One (also missing guns – I should never be allowed to take things out of boxes) watching me type; 1990s Ewok figures are hot-glued to a Christmas wreath, hanging on the inside of my front door, because Christmas decorations sometimes survive until March around here. Midnight sales of toys and memorabilia for new Star Wars films are too irresistible to pass up – a sickness I haven’t been able to shake since Episode I. Even in times of Movie drought (hard to imagine now) the action figures kept coming. And I kept buying them. I’m a little more discerning now, but the action figures still capture my imagination. That’s never changed. The original Star Wars toys bring back so many memories. Like others have said before me, they were not perfect but these toys were great for what we needed from our Star Wars fix. Between my best friend, Damon, and myself we had nearly all of the key figures needed to play out the movies to our heart’s content. Also, because some of the figures were key, this was possibly the first time where it was ok for boys to have a Princess Leia figure and not be teased. I mean, who else was going to get Luke out of the Death Star trap? What about that time when the Lone Ranger showed up and…oh wait, that was something else. I can tell you, my memories with these toys are near and dear to me. Especially in Christmas of 1980 when I woke up to a Millennium Falcon, Darth Vader TIE Fighter and a Hoth playset. I remember the heart break of getting a Bespin fatigues Luke Skywalker and one of my friends losing it that same day and the story of how a Boba Fett figure wound up in my collection where it should not have been. I will always remember that moment when I realized that I reached a point where I was ‘too old’ to play with these toys and gave them all to a cousin who lost their toys in a house fire, not thinking that 20 years later, they would be worth something, but back then, we weren’t concerned with that because we actually PLAYED with our toys. I still have a few figures left from those days along with many of the newer ones released since then. Even though most of the newer figures are better sculpted and more articulated than the originals, have better looking weapons and even do cooler stuff, it’s the classics that will still have a place in my memories.